The first thing I noticed at the Startup Health Festival was the crowd. 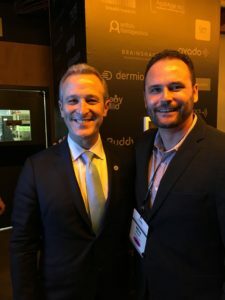 From the moment I walked through the doors, I was surrounded by hundreds of clinicians, entrepreneurs, executives, and investors from around the world. Everywhere I looked, I saw the founders of innovative startups chatting with major venture capitalists and the heads of large healthcare systems. Everyone was passionate. Everyone was excited. And everyone was talking about reimagining healthcare! 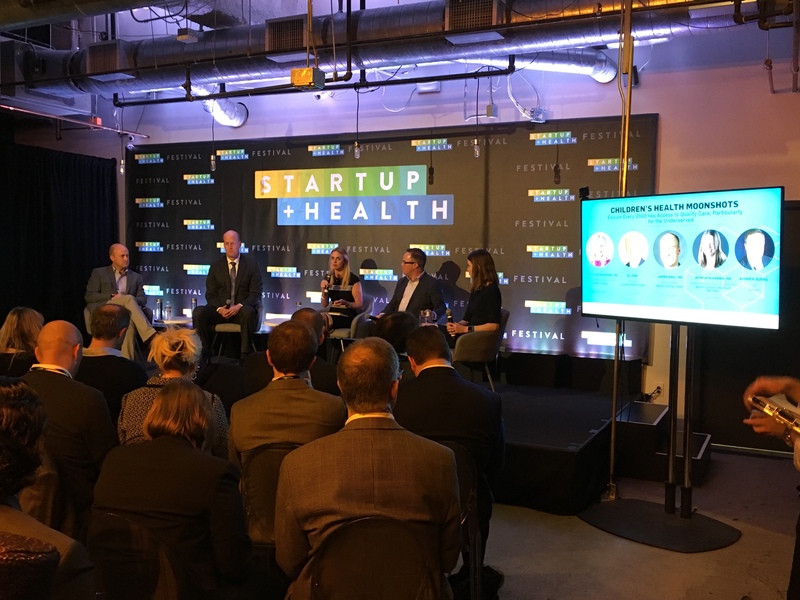 On stage, Steve Krein, the CEO of Startup Health, shared his organization’s vision for a worldwide network of health-tech innovators – what he called a “global army of health transformers” – that would use collaboration to accelerate the digitization of our industry. Vinod Khosla, the co-founder of Sun Microsystems, argued that health innovation needs more outsiders, saying, “No large innovation has come from within a system.” And Vice President Joe Biden shared an emotional moment with the audience when he spoke about losing his son Beau to brain cancer, before publicly reaffirming his commitment to working with innovators to end cancer during our lifetimes. 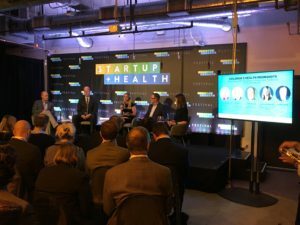 Steve Krein shared his vision for a global army of health transformers at the Startup Health Festival. No matter who I spoke with at the festival, everyone was optimistic about the future of healthcare. They understood that fixing our broken industry wasn’t going to be easy. In fact, they all admitted that it was going to be hard. But, without exception, everyone believed that it could be done if we worked together. Dr. Wendy Sue Swanson addresses the audience at the Startup Health Festival. Dr. Swanson wasn’t the only healthcare leader talking about the need for more collaboration, either. Dr. David T. Feinberg, the CEO of Geisinger Health System, told me about his desire to make waiting rooms a thing of the past, and his willingness to work with innovators to make that happen. Dr. Richard Zane, chief innovation officer at UCHealth, gave a big shout-out to Colorado’s health innovation ecosystem, telling the attendees of the festival how, in only a few short years, our community of innovators had become a health-tech powerhouse. 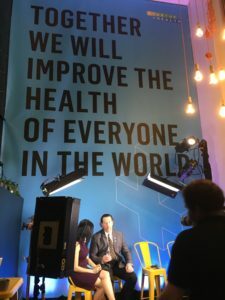 By mobilizing in regional ecosystems like what we’ve built in San Francisco, Denver, Austin, New York, Barcelona, Copenhagen, and Helsinki, and then convening at international gatherings like the Startup Health Festival, we’re building a global network – not just of innovators – but of innovation communities. By taking the time to listen to the members of these communities, people like Esther Dyson, Dr. Swanson, Dr. Feinberg, and Dr. Zane, we’re able to learn about their hopes for the future of healthcare, and perhaps even come to see those hopes as our own. Bob Niichel, CEO of Veloce Digital, is interviewed at the Startup Health Festival. It’s my firm belief that we can continue this momentum, that we can change the healthcare system, and that we can fix our broken industry if we work together. And after what I experienced at the Startup Health Festival, I know that I’m not alone in this belief. Now I know that there’s an army of innovators at my back, and that everyone in it is willing to work side-by-side with me to reimagine healthcare. This is our moonshot moment, people. Let’s make the most of it!